The world you live in is complex and diverse. The more you interact with others, the more opportunities for you to experience conflict. In simple terms, conflict is the direct result of you failing to meet your needs when someone else is working to meet a competing need. For example, your neighbor has an overgrown tree that sits near your fence. They start cutting down branches and letting the debris fall into your yard. Now they have a trimmed tree and you have a pile of cuttings. Conflict? Absolutely. What is the solution? Your answer may be different than anyone else. To remedy the situation, you might physically confront your neighbor, you might call the police, you might decide after speaking to a trusted friend that you should make a complaint in small-claims court, or you might speak to an attorney. What if you spoke directly to your neighbor and they refused to listen? The situation would escalate. In this situation, if both you and your neighbor would be willing to speak to a mediator - the problem would likely be resolved quickly. A mediator is a neutral and unbiased individual whose aim is to understand the needs and the demands of each party in a dispute. Working with the mediator, together all parties are confident that their needs are understood and an acceptable compromise can be reached. Did you know, most mediators are not lawyers. Mediators do not give legal advice or provide legal services. That is one reason why mediation services are affordable. That is one reason why successful mediation results in a quick and mutually acceptable solution to your conflict. resolvedUS Mediation Services, provides culturally effective mediation at an affordable price. To begin, we recommend a Pre-Conference (one hour session) to help you evaluate whether or not mediation is the best option for both parties. If during the Pre-Conference it becomes clear that either party needs to speak to an attorney, to complete forms, file a document with the court or get an answer to a legal question - you will be referred to an attorney who is experienced in handling similar cases. When you speak to an attorney, it is prudent to let them know that you have been referred by a mediator. Then, in the future, if mediation becomes a viable means to resolve your conflict - we are honored to be chosen to assist both parties in finding an acceptable solution. When using mediation, it is helpful for you to remember that both parties (you and your neighbor) will split the costs of mediation equally. Both parties should use mediation services when they are both ready and willing to bring closure to a conflict. Why? The role of the mediator is NOT to negotiate the best possible deal for an injured/wronged party. Your mediator is impartial and committed to making sure both parties needs are understood by the other and acceptable actions identified. Actions can include behavior and material/monetary solutions. When the mediator feels that both parties have reached an agreement, the parties will be responsible for writing up an agreement that explains the details of the resolution and then both sign and date the agreement. The mediator CAN NOT help prepare the wording of the document, that would be providing legal services. However, the mediator CAN witness the signing of the agreement. 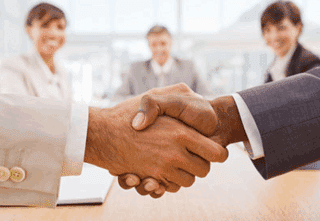 Mediation ends when a mutually acceptable agreement is reached and signed.